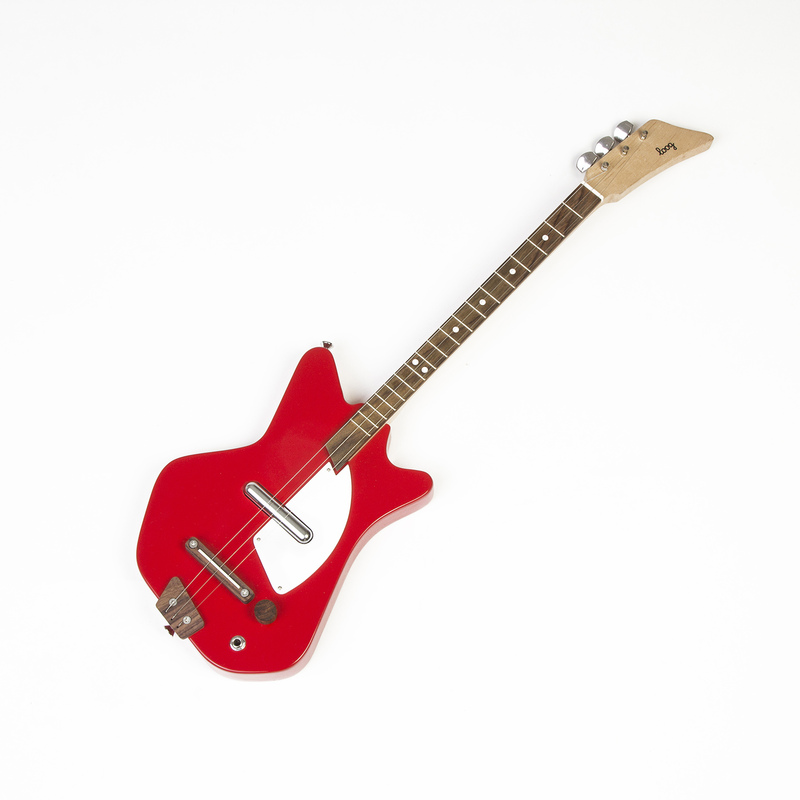 FREE SHIPPING ORDERS OVER $100. 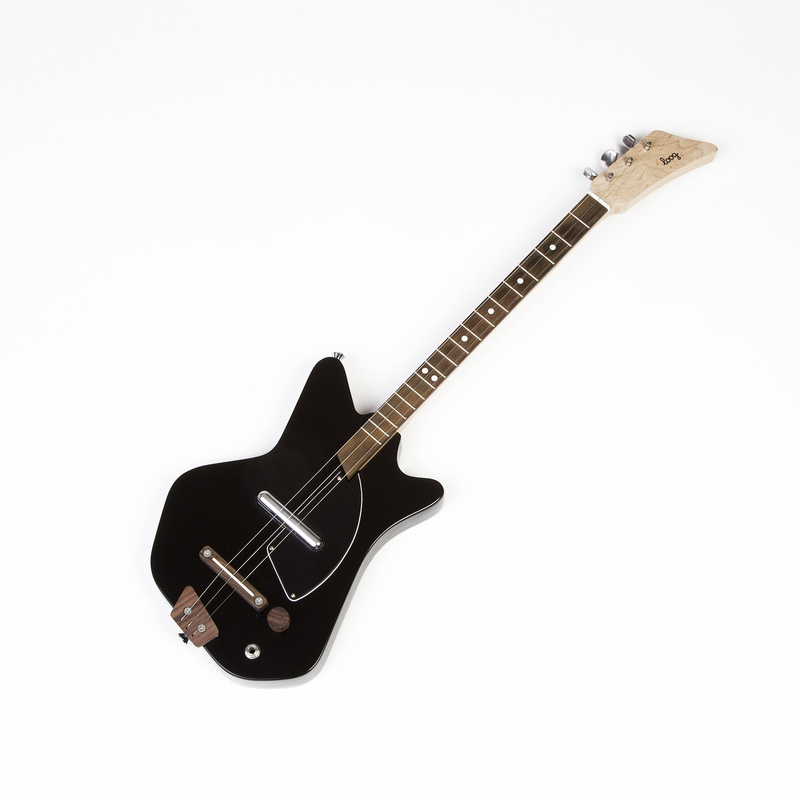 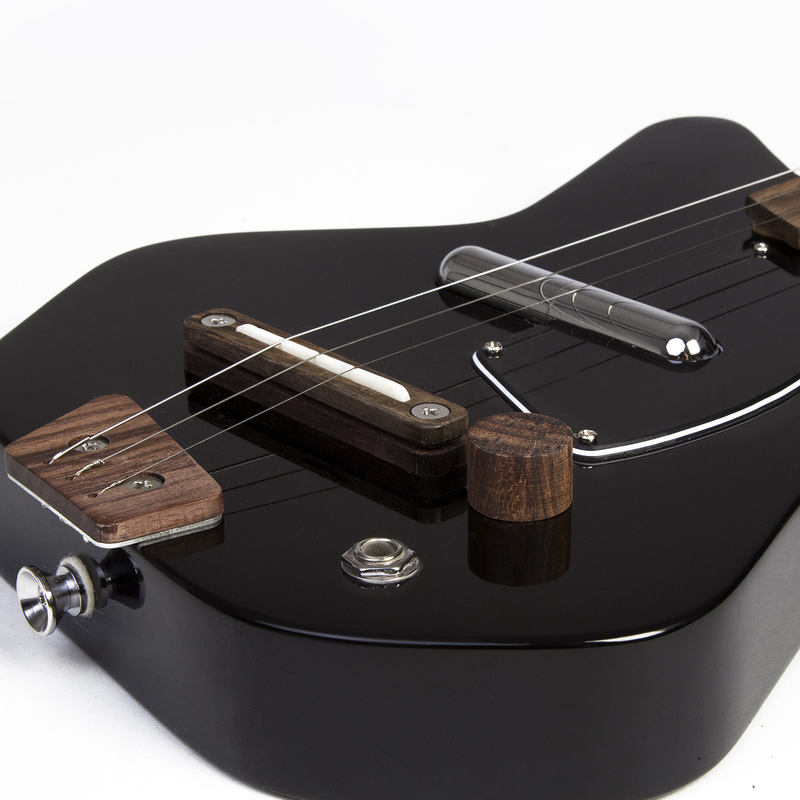 The Electric Loog is a small guitar with a serious sound that is a perfect black electric guitar for kids and beginners. 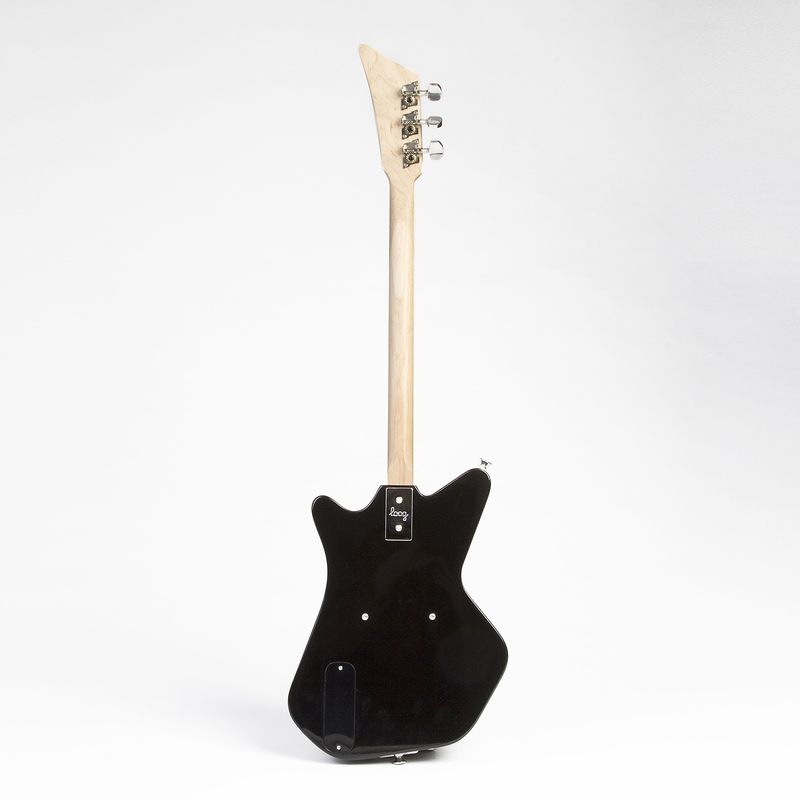 This kids black electric guitar is made out of real wood and equipped with a screaming pickup that sounds amazing whatever style you play. 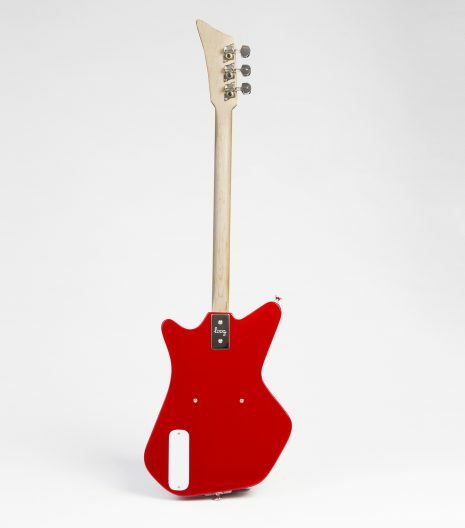 Because it only has three strings and a narrow neck, it’s easier for small children to form chords and to make sense of what they are playing. 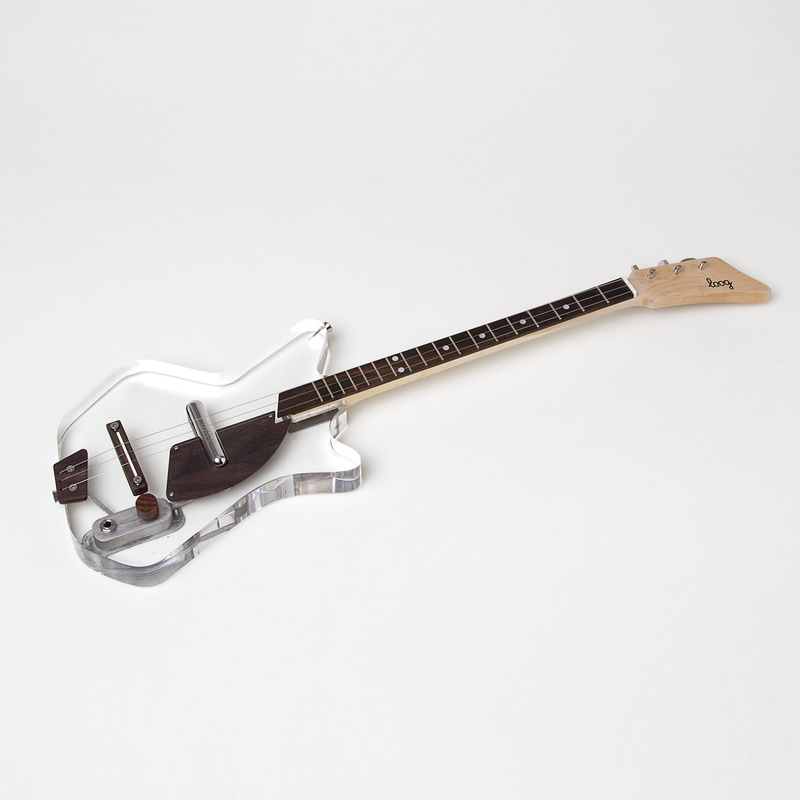 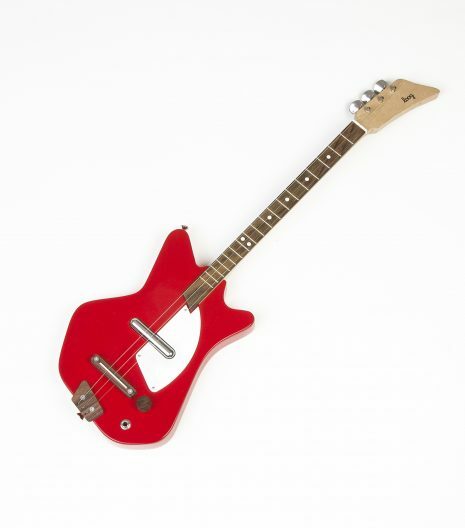 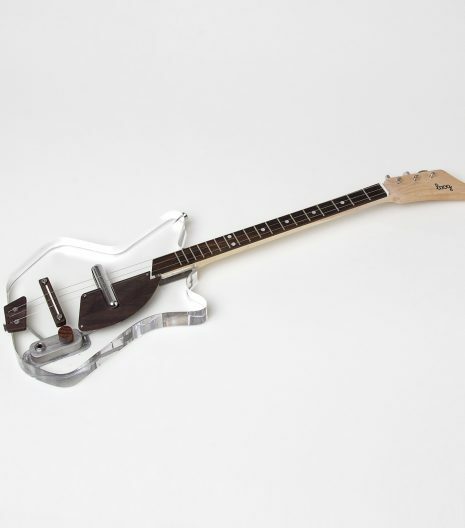 The Loog Rosewood Electric comes unassembled so you can have fun putting it together with your kids. 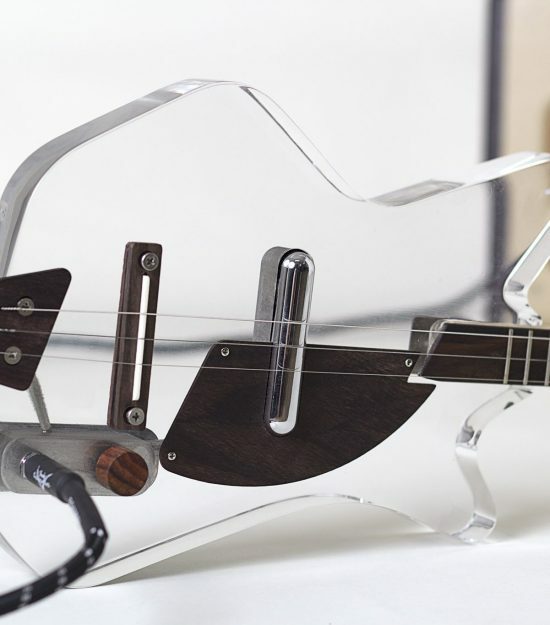 This is a great bonding experience between parents and their children, to build their Loog together and share their love of music. 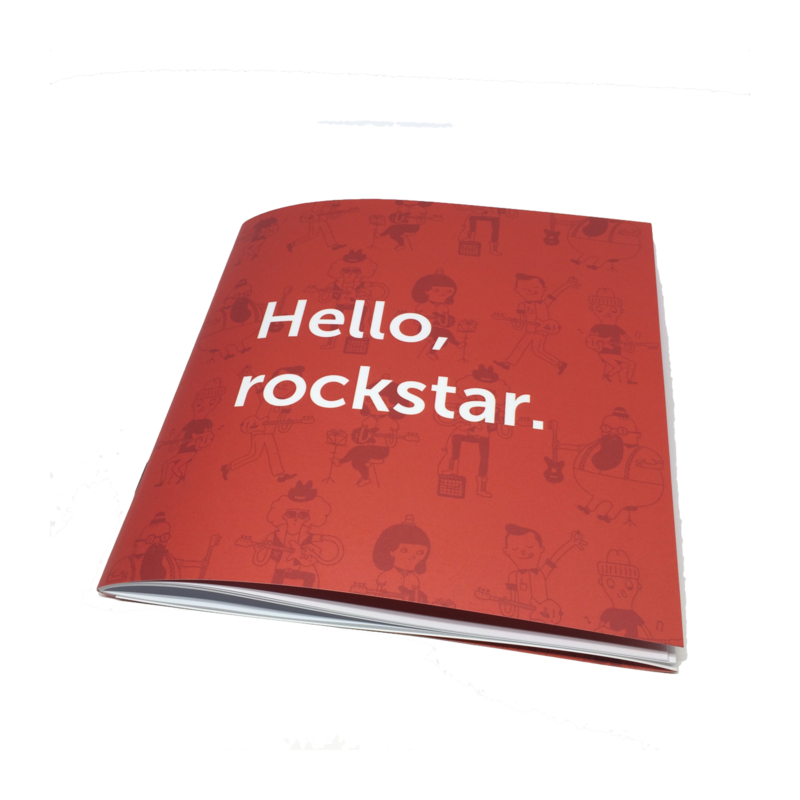 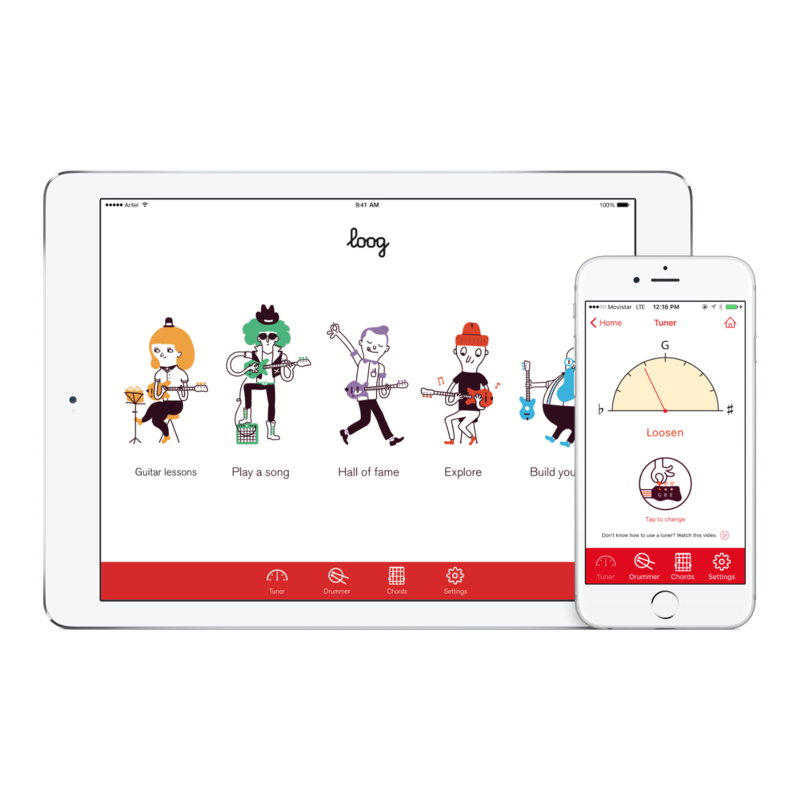 Loog Guitars come with a free instructional book with songs by The Beatles, The Rolling Stones, Taylor Swift, Bruno Mars and more, and a free app with a tuner, a monkey drummer and video lessons designed to get you playing songs -not just scales or exercises- on day one. 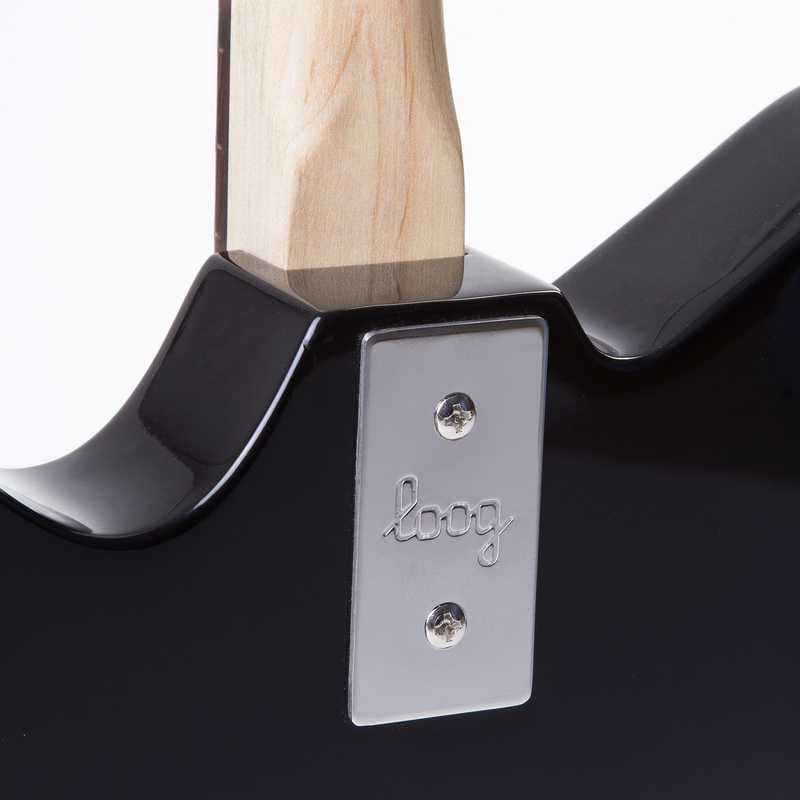 When selecting a kids black electric guitar you need to consider a guitar that will help children or learners progress without losing interet and this is exactly what the Loog guitar can offer.